Former City Harvest Church (CHC) leader Chew Eng Han was yesterday convicted of attempting to leave Singapore illegally from an unauthorised point of departure. 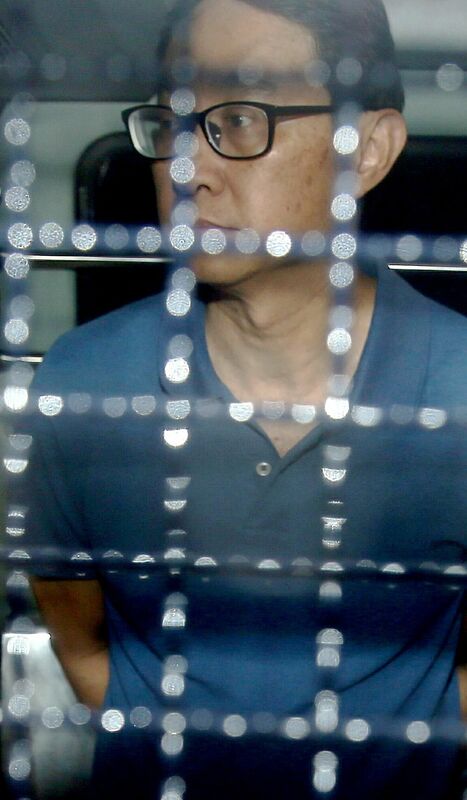 Yesterday, District Judge Victor Yeo also found Chew, 58, guilty of attempting to defeat the course of justice by boarding a motorised boat at the Pulau Ubin jetty on Feb 21 to try to avoid his earlier jail sentence. Chew had committed the offences a day before he was to begin serving his jail term of three years and four months for his role in the misuse of church funds. Five other CHC leaders - including founder-pastor Kong Hee - who were also convicted of misusing church funds, began serving their terms in April last year. Chew admitted during investigations that he wanted to leave Singapore as he "felt injustice for (his) High Court case", deputy public prosecutors Christopher Ong and Eugene Sng had stated earlier. The former church leader also said he wanted to leave the country "through (his) own means" as he did "not want to be convicted". The prosecutors said the escape plan involved a two-leg journey. "On the first leg, the accused would get on a boat in the vicinity of Changi. This boat was to travel towards four fish farms... in Singapore waters in the north-east part of Pulau Ubin, close to the boundary between Singapore and Malaysian waters." After that, at a place referred to as "Point B", Chew was to embark on the second leg by transferring to a second boat, which would then take him out of Singapore waters. Point B was less than a minute by boat from the boundary between Singapore and Malaysian territorial waters, the court heard. Chew was caught before he reached Point B. The prosecutors said that by getting on the boat at the Pulau Ubin jetty, Chew had "embarked on the crime proper" to leave Singapore at an unauthorised place. They said: "The accused had done everything he could to leave Singapore at an unauthorised place, short of embarking onto the second boat. It was only because the boat was intercepted by the PCG (Police Coast Guard) that he failed in his endeavour to leave Singapore illegally." But defence lawyer Adrian Wee told Judge Yeo that Chew had been "apprehended too soon". He said: "The accused's acts up to the point of his arrest... do not amount to embarking on the crime proper - such crime being leaving Singapore from Point B." Delivering his verdict yesterday, Judge Yeo said he was not persuaded by Mr Wee's arguments. "By the time the accused embarked on the first boat, he was clearly on his way to leaving Singapore from an unauthorised place," said the judge. Chew will be back in court on Jan 29 next year.